A visitor or resident of Charlevoix, Michigan may wish to reflect on Mr. Thoreau’s statement while water skiing in, boating on, swimming in, or merely gazing at the majesty of Lake Michigan as seen from any of the city’s endless perches. During the summer months, Northern Michigan is often considered one of the most beautiful places in the country, and Charlevoix may just be the embodiment of that belief. 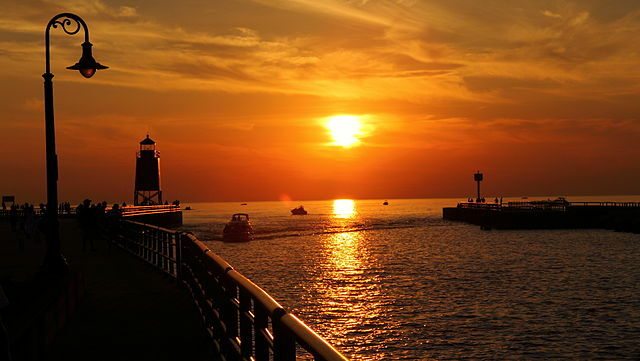 At a less-than-whopping 2.17 square miles, and a year-round population of around 3,000, Charlevoix doesn’t pack much of a wallop with its numbers, but a sunset on Lake Michigan or a sunrise on Lake Charlevoix will give you the kind of happy emotional gut punch you didn’t even know you wanted. But if you do indeed want that gut punch, consider living in Charlevoix. Given the nature of the region, many residents are seasonal; as a result, the variety of homes available is staggering: multimillion dollar palaces on Lake Michigan and Lake Charlevoix, condominiums near downtown, state-of-the-art homes on the golf course, or simple, easy-to-maintain 3 bed/2 bath homes scattered around the city. Speaking of that downtown: If you’re looking for that signature American mix of modern conveniences (Starbucks), small-town charm (sandwich boards with clever menu items outside every café), and 1950s vibe (two-story establishments), Charlevoix is all of those things and more. As you’re walking through town people-watching, you may have to stop for the drawbridge to let boats out to Lake Michigan. Once you’re over the bridge, eat dinner at a brewery, and then enjoy ice cream with your family as you watch an impromptu street juggling act. Take a walk through East Park and gaze upon the sailboats fluttering on Round Lake as they head inland. Once you’re down scratching your downtown itch and are ready to move onto larger spaces, take your pick: go fishing in Jordan Valley Trout Pond…watch the sunset over a lighthouse into Lake Michigan at Michigan Beach Park…hike sand dunes at the North Point Nature Preserve…bike your way to Harbor Springs on the 26-mile Little Traverse Wheelway…charter a boat and catch some trout…or hike on any of the hundreds of miles of nearby trails. In the winter, snowshoe, or enjoy some downhill skiing at Boyne Mountain. If you are in Charlevoix, there’s a good chance you’re a year-round resident, in which case you should be aware of the organized recreational activities the city offers. Take advantage of tennis lessons, enjoy a flag football league, skate on the rink at Mt. McSauba, or join one of the many baseball or softball leagues that pop up during the summer. And if you have children, they will attend Charlevoix Public Schools; there is an elementary school, and a combined middle school/high school. 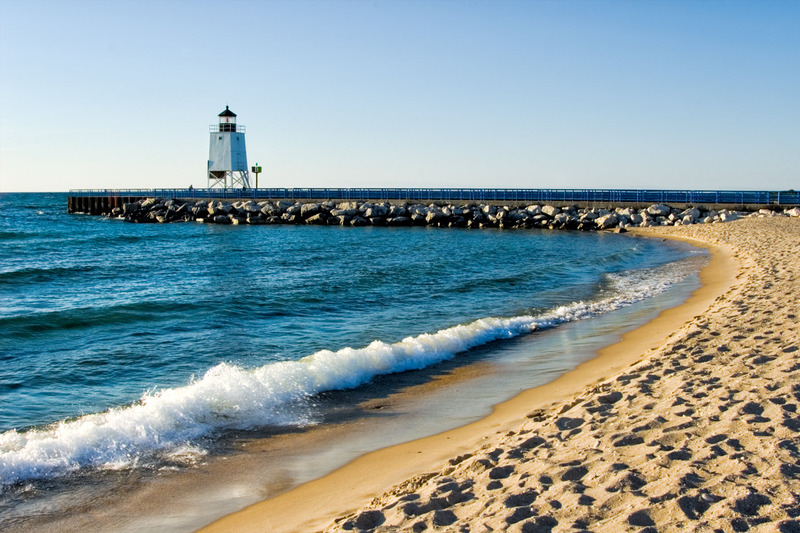 Whether you’re into morning yoga on the beach or stargazing at night, kicking back with a summer read or challenging the waves, Charlevoix has just the kind of environment to cater to every part of you that wants to enjoy all the great outdoors of Michigan has to offer. The city bills itself as “Charlevoix the Beautiful,” and while you may not find amber waves of grain or purple mountain majesties, you will nonetheless find a vast variety of the things that are indeed beautiful.